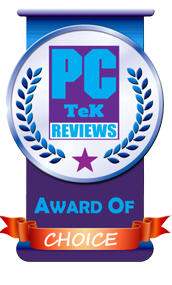 10 Apr, 2019 Rakesh Sharma Reviews . 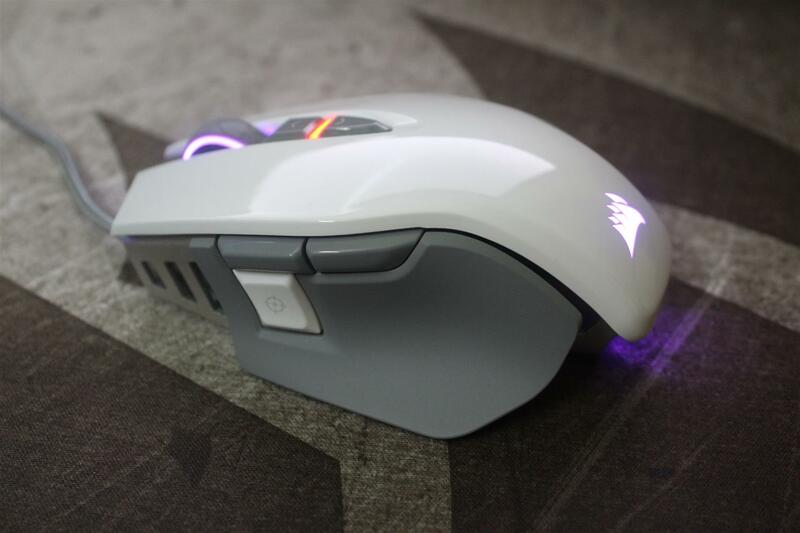 We are back with another gaming mouse review. 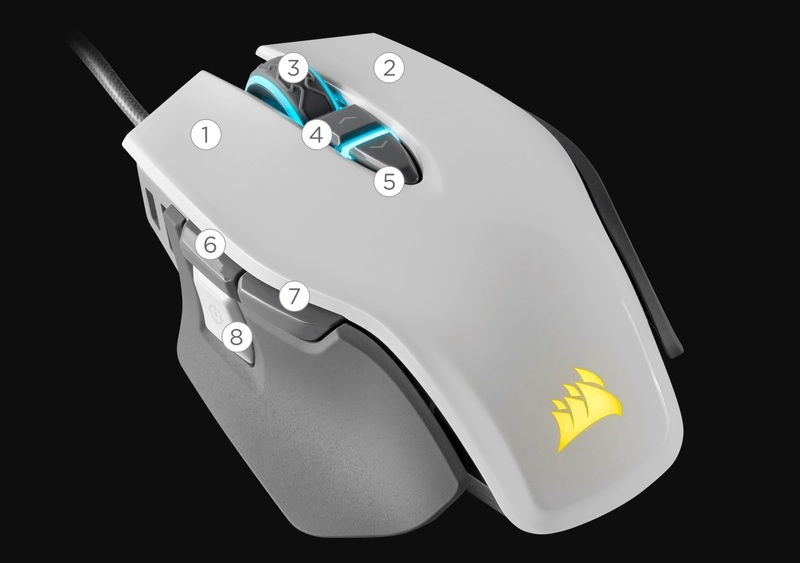 Today we are reviewing a most advanced FPS gaming mouse from CORSAIR, the CORSAIR M65 RGB Elite Tunable FPS Gaming Mouse built around a durable aluminum frame and equipped with a state-of-the-art 18,000 DPI optical sensor. 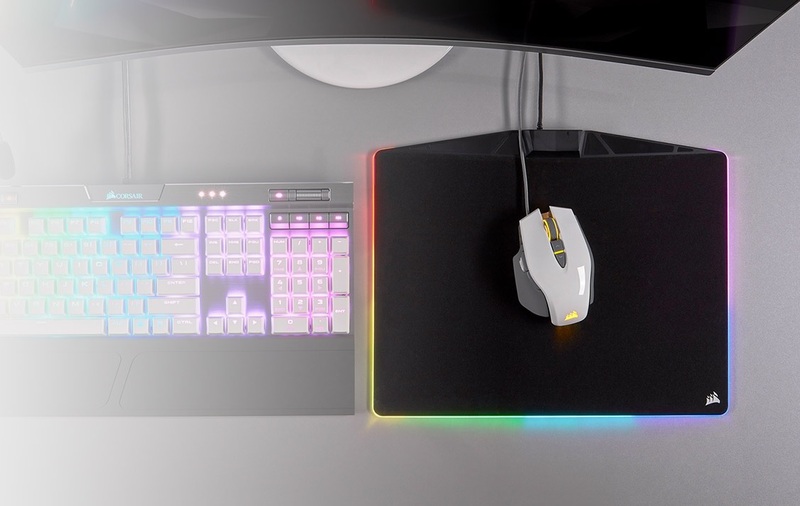 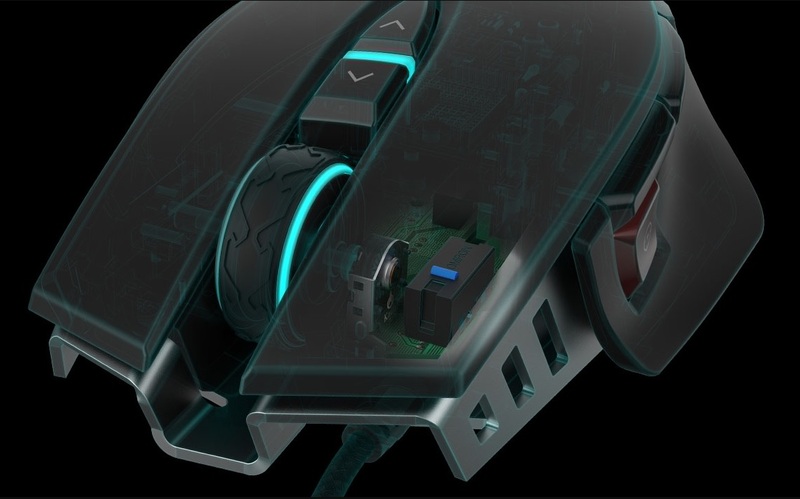 CORSAIR M65 RGB Elite Mouse also offers advanced tunable weight system allows users to adjust their mouse’s center of gravity, or reduce its weight along with eight fully programmable buttons and dynamic RGB lighting all easily controlled via CORSIAR iCUE software. 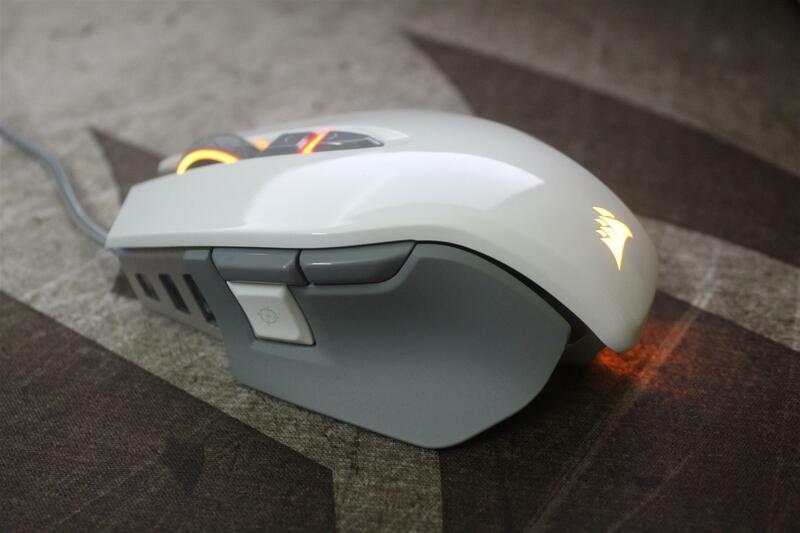 Now let’s see what this M65 RGB Elite Gaming mouse has for us. 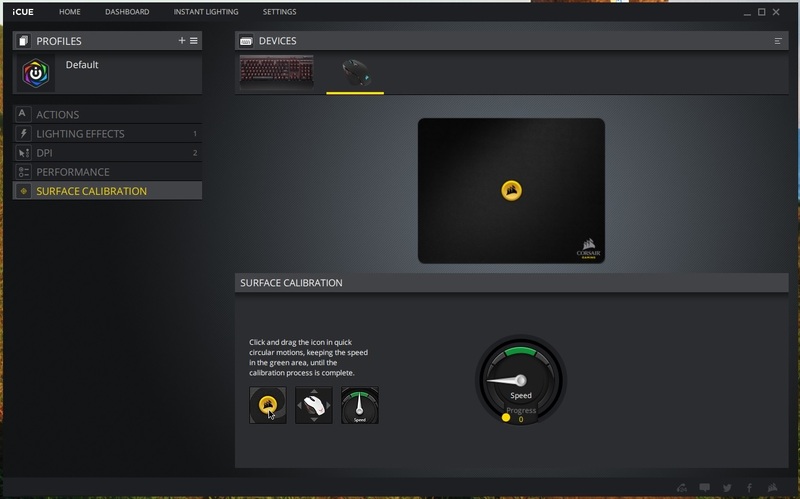 Take your lighting and macro profiles with you, with no need for external software. 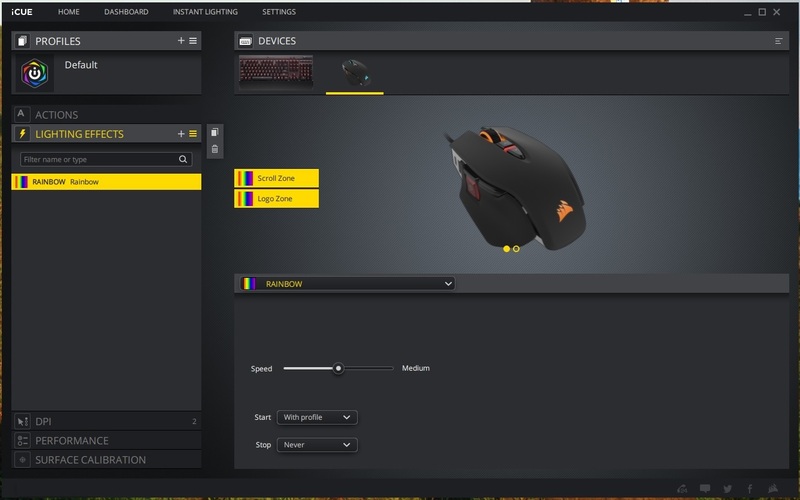 Tune your mouse to your mouse pad to maximize precision and responsiveness. 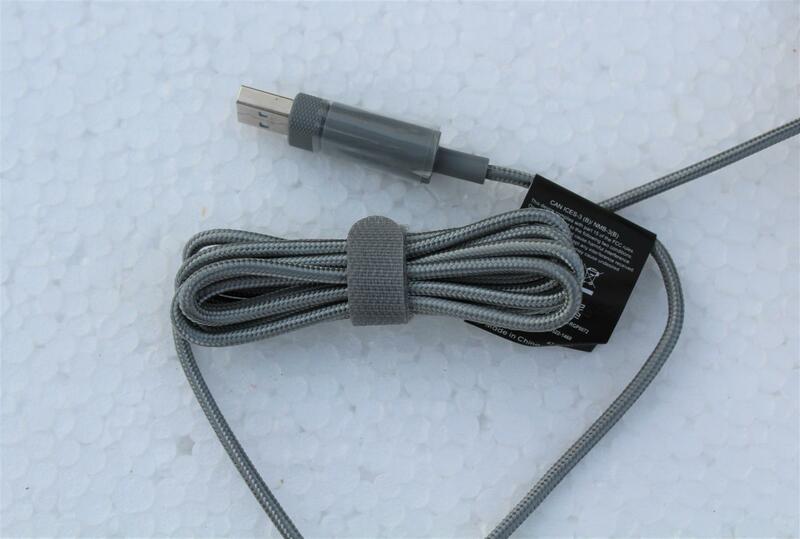 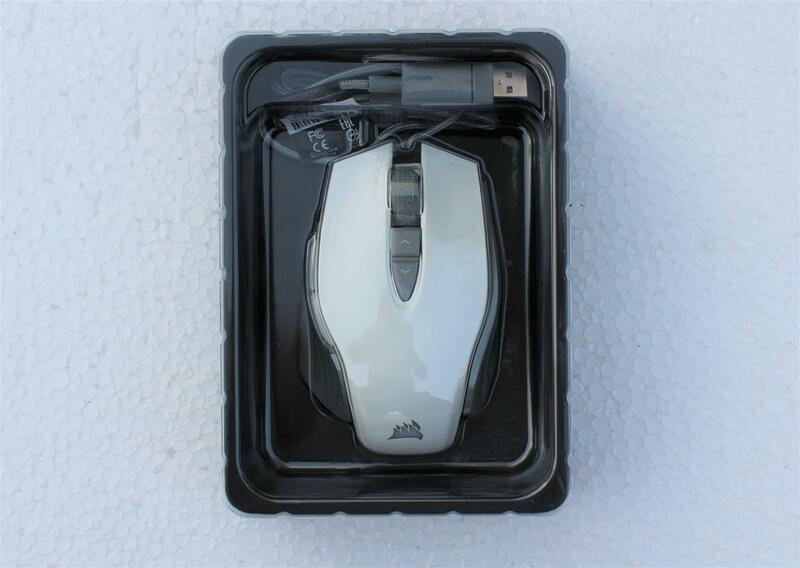 Mouse comes in a good card-box packing with product image on front and mentioning of features on back. 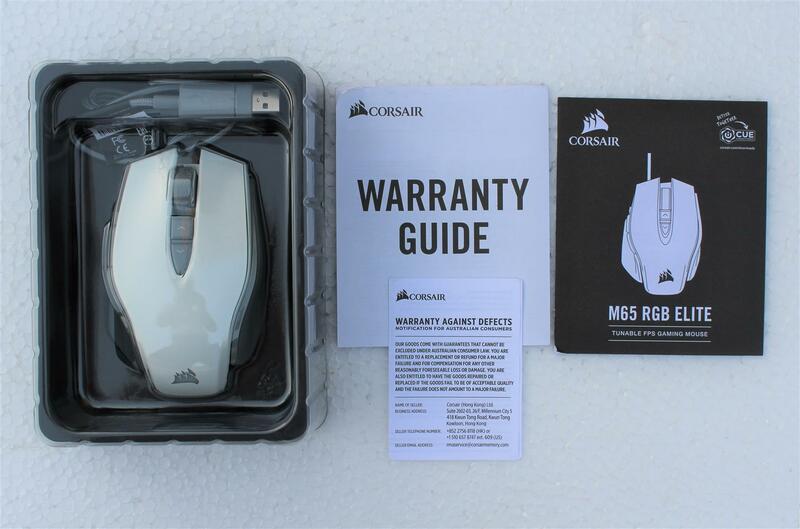 Along with the mouse box also includes Quick Start Guide, Safety Leaflet and Warranty Card. 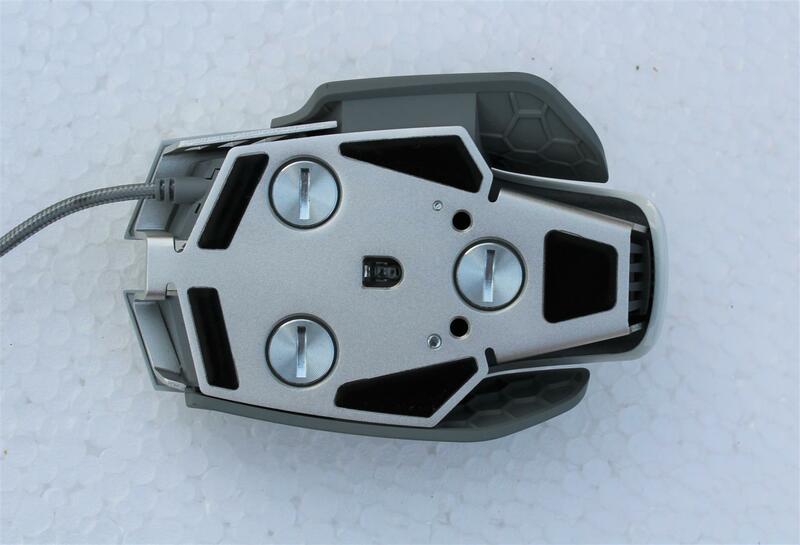 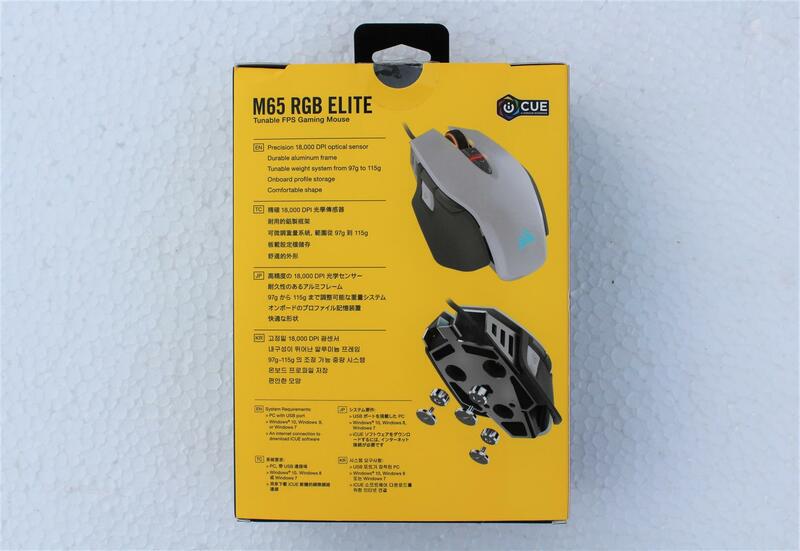 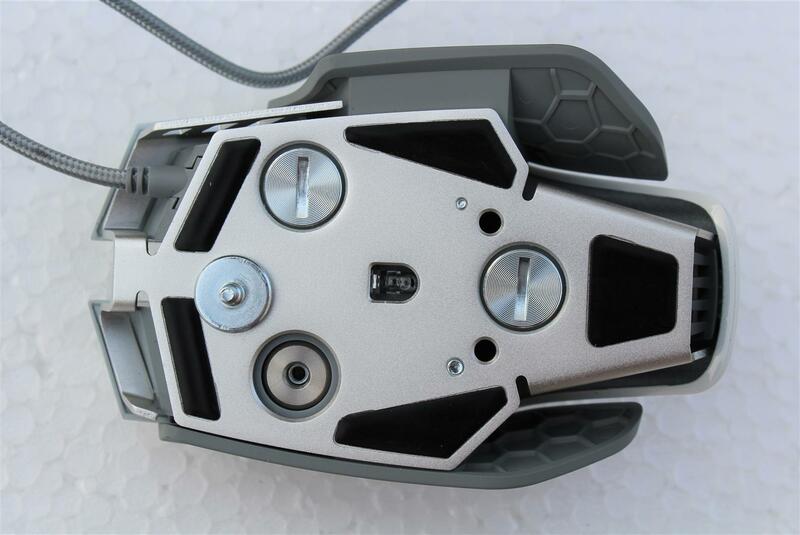 M65 RGB Elite Gaming mouse is light weighted and aluminum framed mouse with very aggressive and ergonomic design for right-hand users. 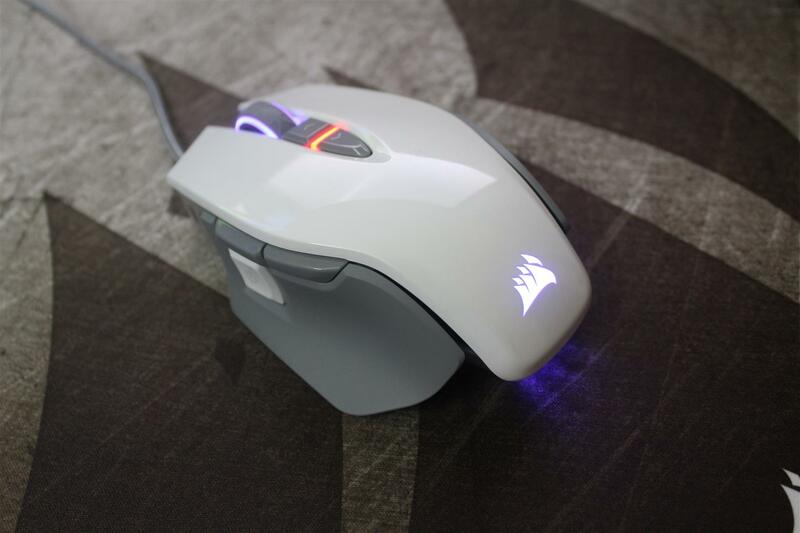 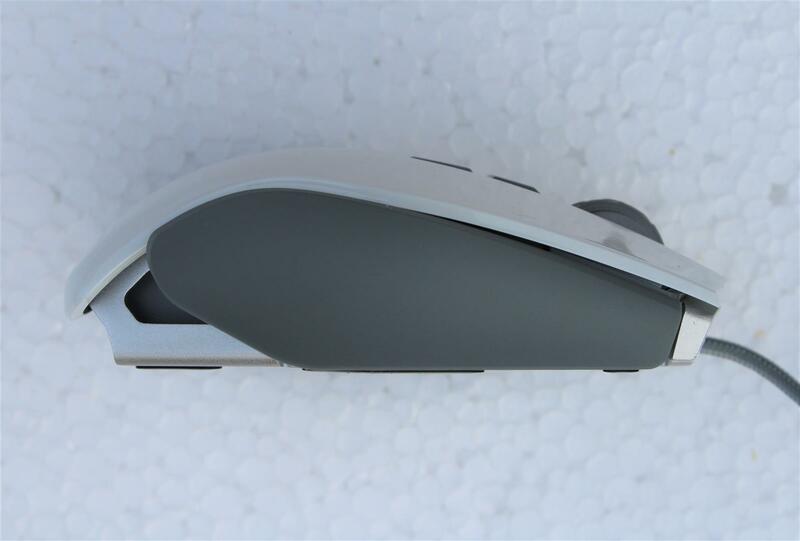 Corsair logo on front of the mouse and bottom aluminum grill have dynamic RGB lighting effect. 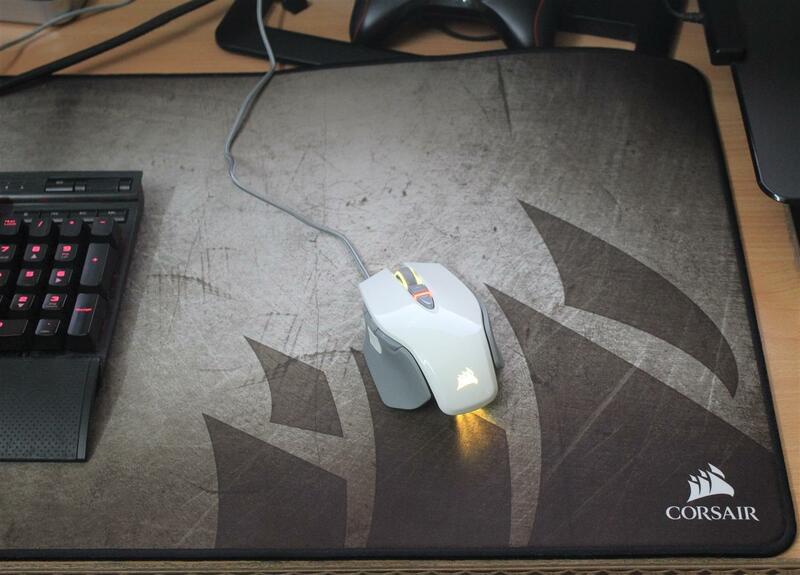 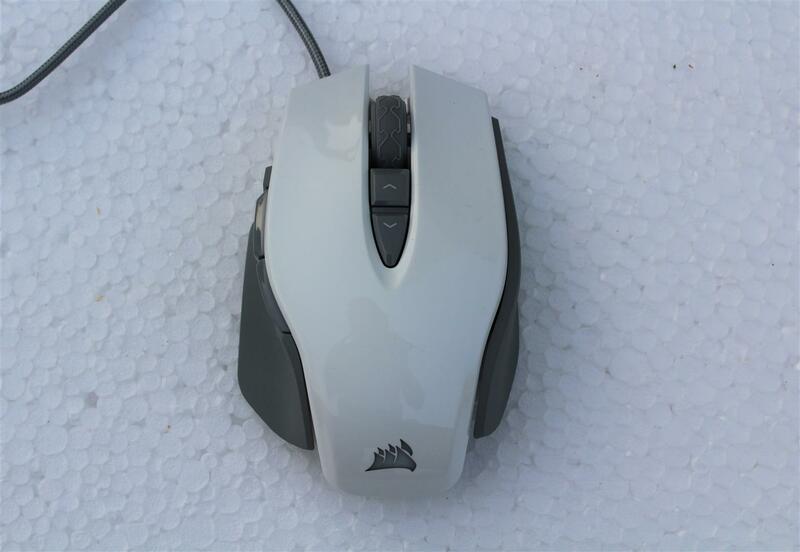 For testing this M65 RGB Elite mouse we used our test system with CORSAIR MM350 Premium Anti-fray cloth mouse pad. 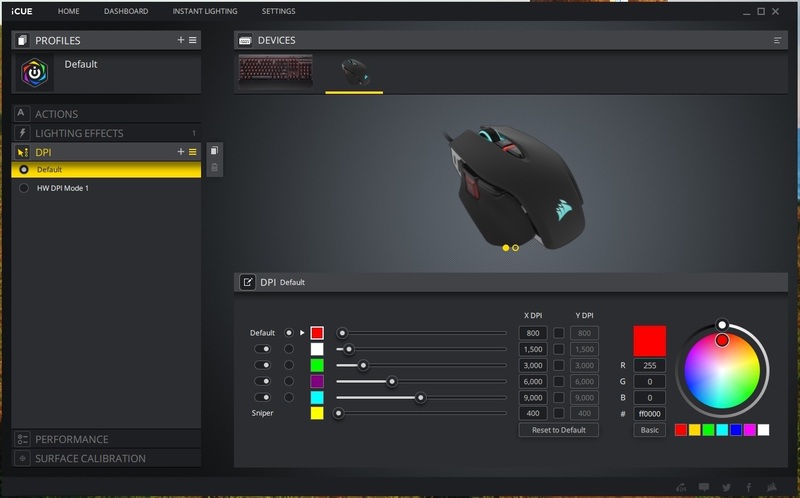 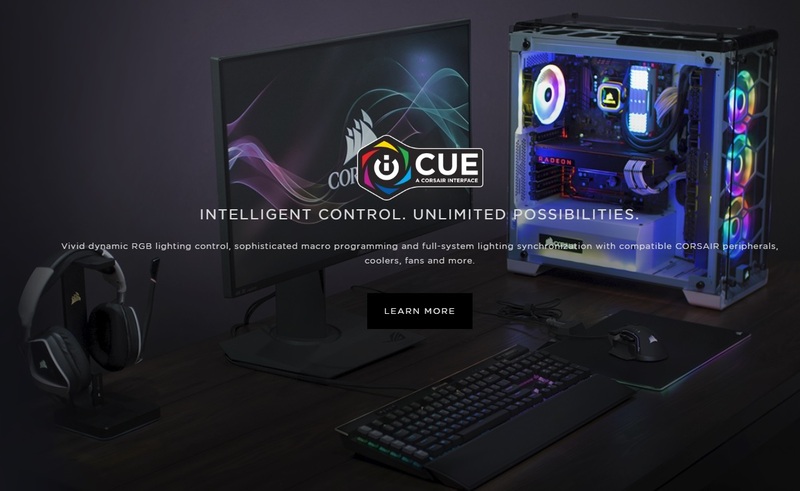 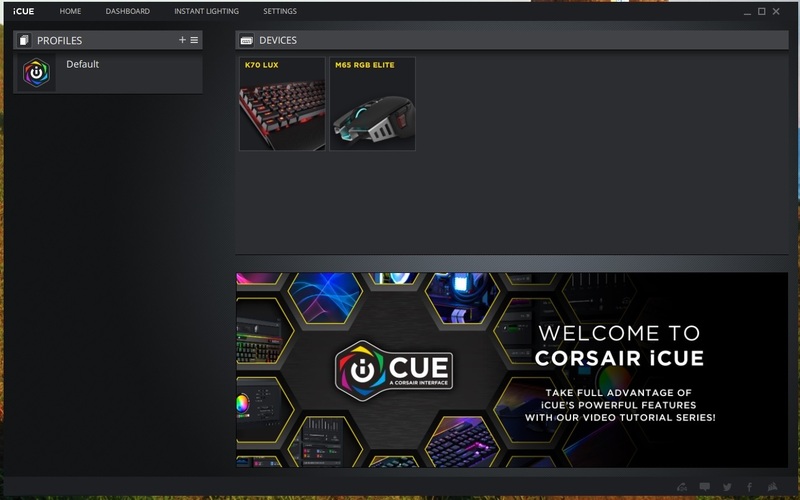 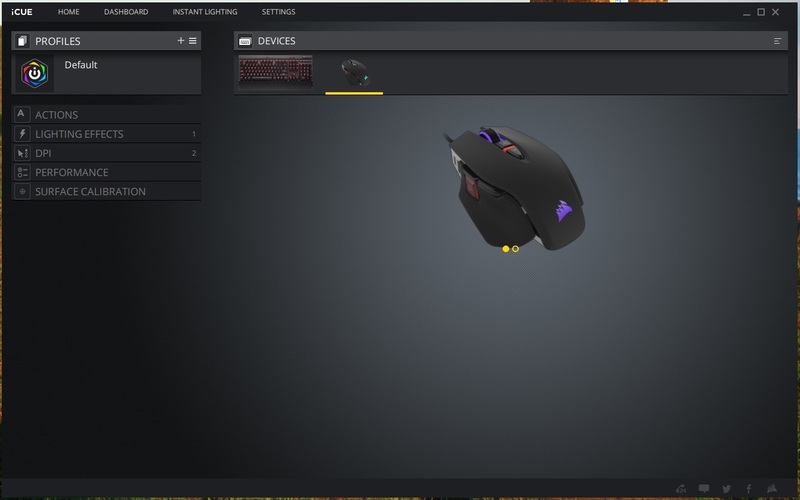 When you plug the CORSAIR M65 RGB Elite mouse in your PC first time, it automatically recommends you download and install CORSAIR iCUE software. 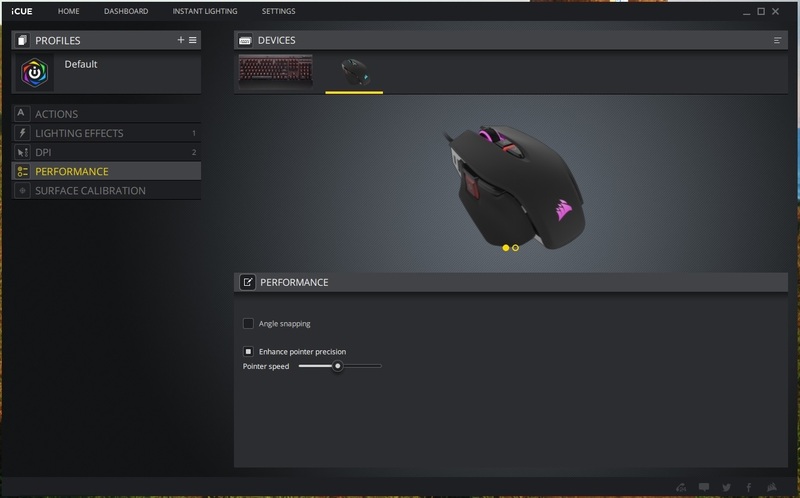 CORSAIR M65 RGB Elite mouse is comfortable to hold in my hand and with its tunable weight system and surface calibration, playing DOOM was an enjoyable gaming experience. 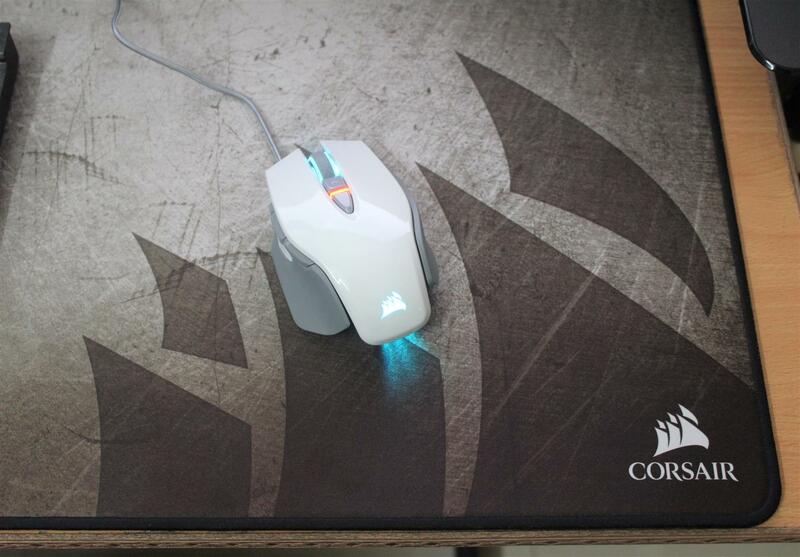 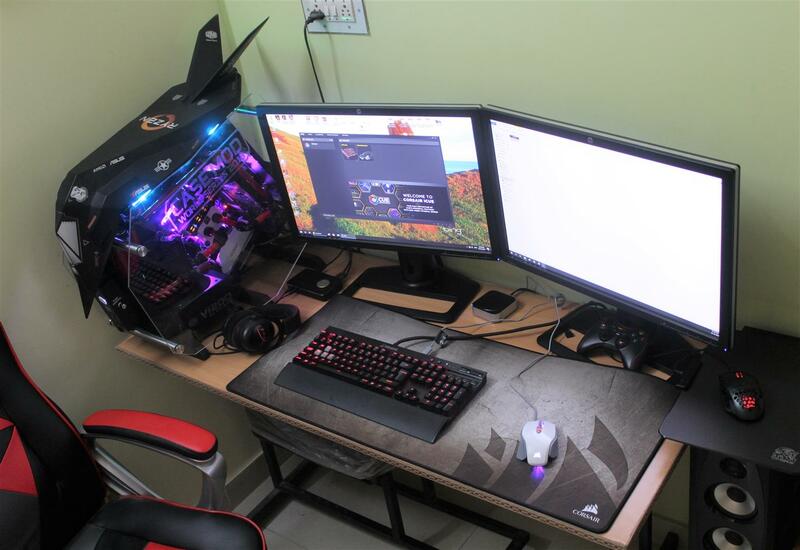 The mouse provided fast and precise in game reaction and smooth movement with CORSAIR MM350 Premium Anti-fray cloth mouse pad. 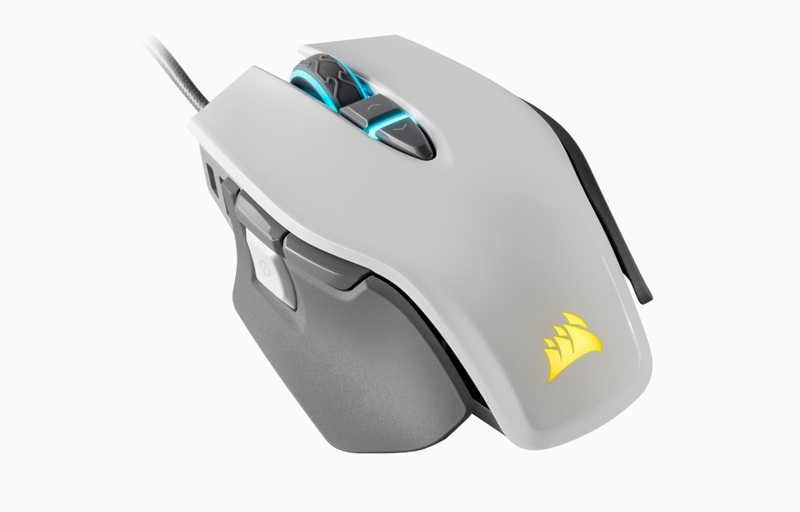 Frankly CORSAIR M65 RGB Elite mouse with its angles and layout in design make it an overkill for regular desktop use, especially if you are having small hands. 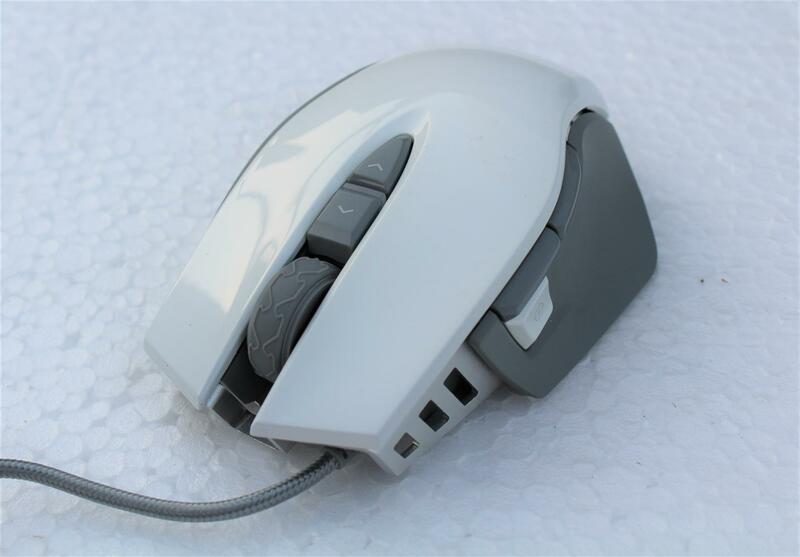 Beside design mouse works flawlessly in all desktop environments. 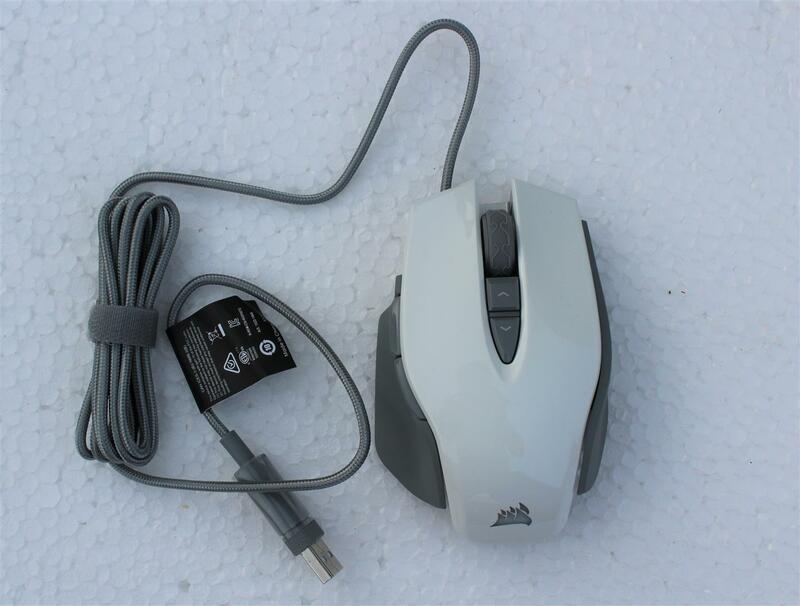 For reviewing a mouse, I replace my daily mouse with the product and use if for about 2 weeks or so. 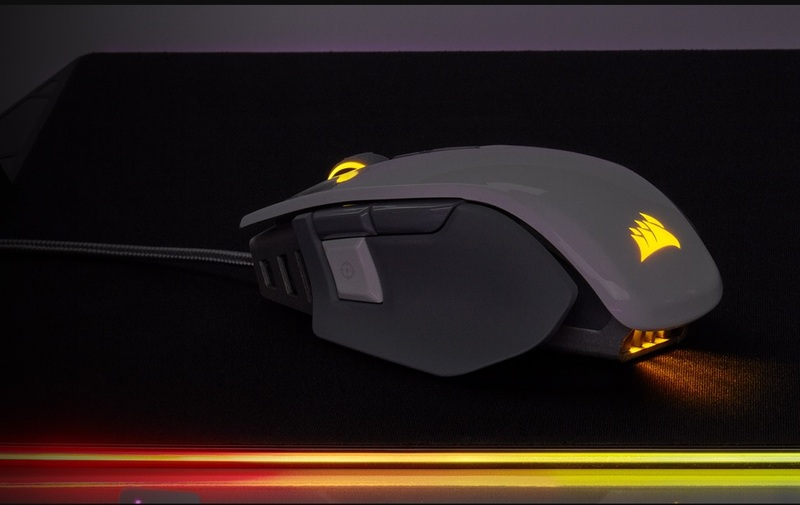 The first impression for CORSAIR M65 RGB Elite gaming mouse is that I love the look and feel of the mouse. 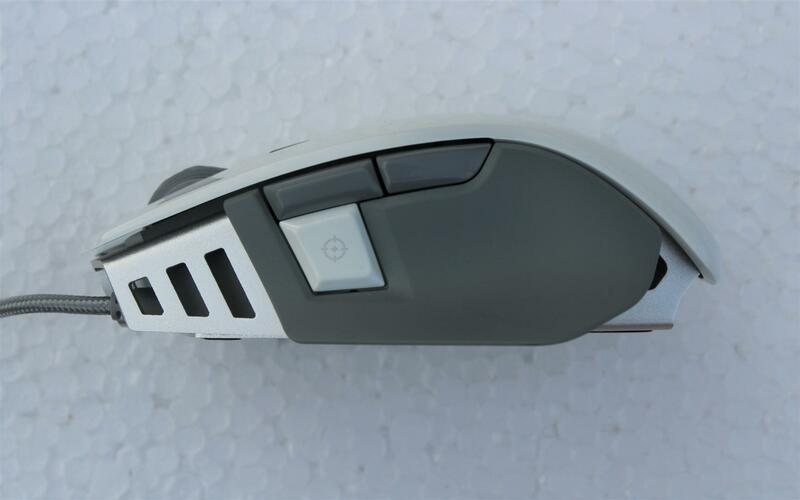 The button layout is excellent with fairly light and responsive clicks. 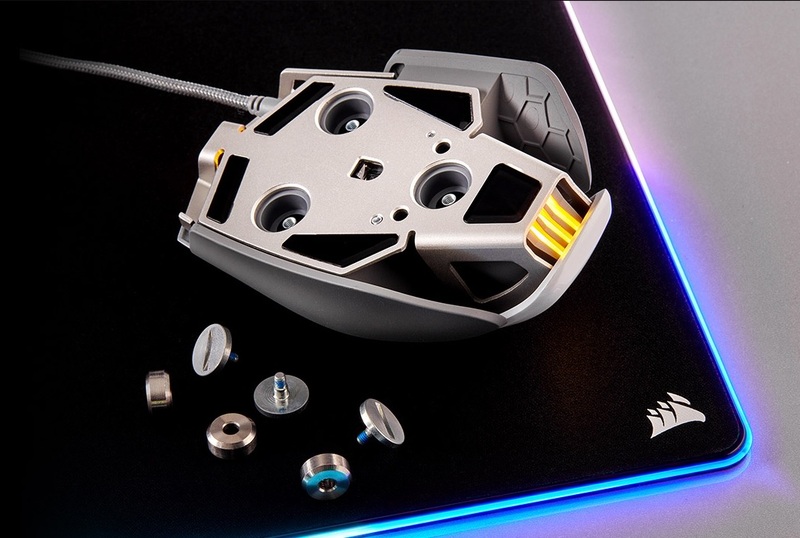 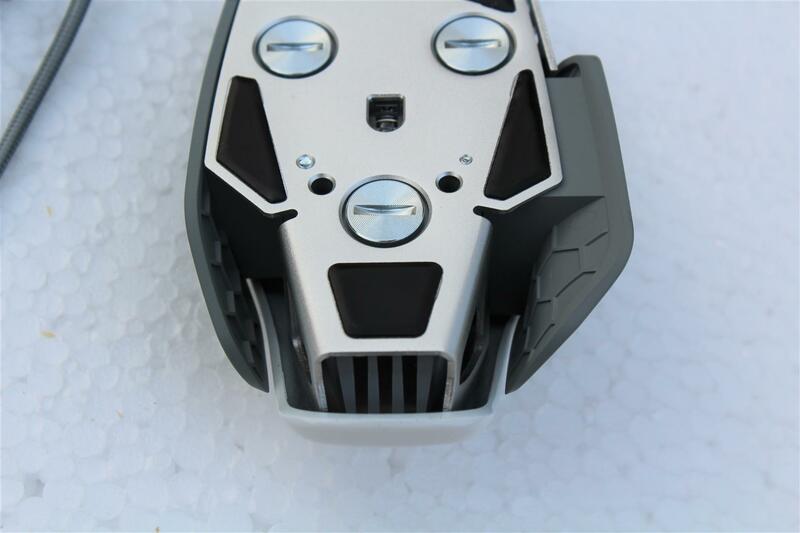 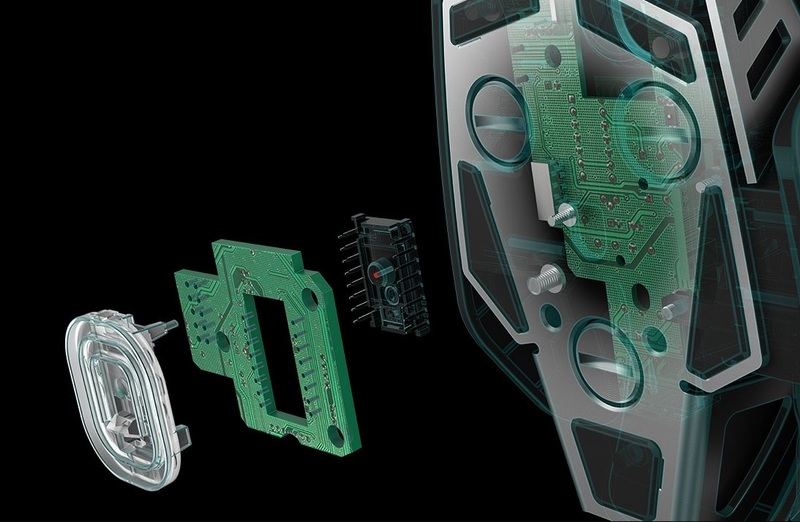 The sniper button is useful for FPS games as it lowers the DPI for careful and precise aim. 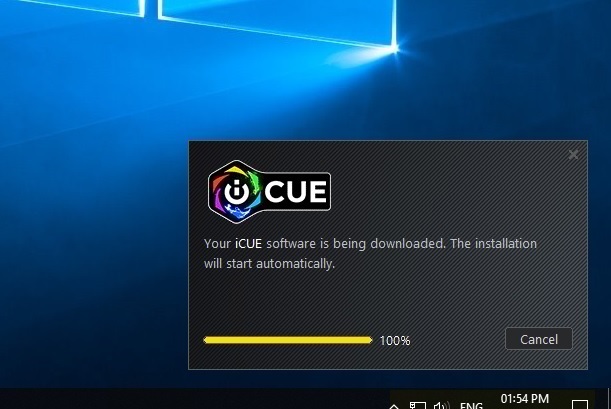 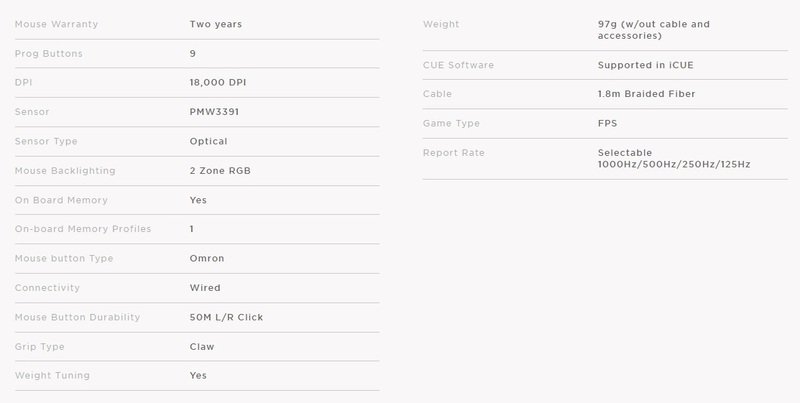 The new iCUE software making it much easier to remap buttons, create macros and customize lighting profiles. 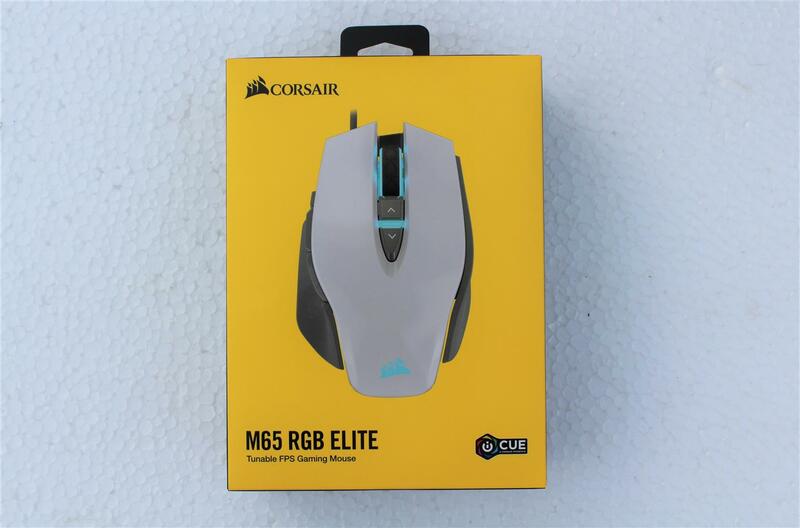 Finally, the CORSAIR M65 RGB Elite gaming mouse is best all gaming mouse offering great gaming features and aggressive gaming design makes it worthy of our PC TeK Reviews CHOICE Award for gamers.